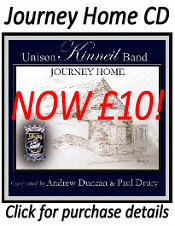 Following an appearance at the recent UNISON Kinneil Band Annual Concert Kinneil Youth Band look forward to its own Annual Concert on Friday 12th June. The concert, as in previous years, will highlight the hard work that is being put in by all the members. Featuring its own soloists and a variety of music to suit all tastes the concert promises to be very entertaining. The Youth Band continues to provide free tuition and instruments to all ages and looks forward to welcoming new members who would like to take up Brass or percussion. 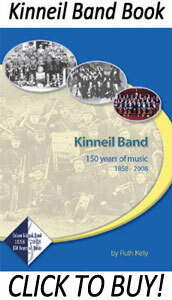 The concert, in Kinneil Bowling Club, commences at 7.30pm with tickets priced at £3.00. Please contact any member of Kinneil Youth Band to book your tickets. As this is normally a very popular event please book early to avoid disappointment. This entry was posted on Wednesday, June 3rd, 2015 and is filed under Concerts, General News. You can follow any responses to this entry through RSS 2.0. Both comments and pings are currently closed.